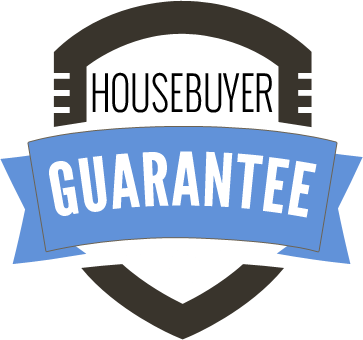 At Housebuyer™ – home of the One Hour Offer & Iron Clad House Selling Guarantee, our Guarantees are in place to set the bar higher so you have peace of mind. If we agree to come see your house and are unable to make an offer† to buy your house within one hour of inspecting it and meeting with all the owners necessary to enter into a Standard Real Estate Purchase & Sale Agreement, we’ll buy you dinner as a “Thank You” for giving us the opportunity to serve you. This is our One Hour Offer Guarantee to you! We are not guaranteeing you that we WILL buy your house in one hour, but simply that we CAN make you an offer to purchase your house in one hour or less. It is still up to you to decide if you want to accept our offer to buy your house quickly. If you accept our offer to buy your house, you’ll be able to avoid all the unnecessary hassles and uncertainties of attempting to sell your house yourself or through an agent like a Realtor. Get fast cash or immediate debt relief! Avoid paying unnecessary real estate fees and commissions! Avoid the stress waiting months and months for your house to sell! Avoid making unnecessary and expensive repairs to sell your house! Avoid having to maintain and pay for a house you no longer live in! So now there’s no more waiting or worrying! Find out if your house qualifies for our Rapid House Purchase Program, by calling toll-free or sending in our Confidential Online Seller Questionnaire. to Know Your Next Move Is Guaranteed? Because closing a transaction on a house is one the complex most strenuous times during the selling process we are taking away all the risk. The closing details can stop your closing dead in its tracks and add extra costs to YOU. We vow to manage the entire fleet of people and prepare the documents. If we do not make your closing a pure cakewalk; to the extent you leave the closing table with a smile on your face, we will pay your closing costs! It’s our way of showing you how far we will go to demonstrate our total, passionate commitment to your satisfaction. Not All Companies Are The Same. Before you deal with someone else consider that I am a full-time Housebuyer™ with 20 years experience in buying houses and solving the most extreme real estate problems. To find out if your house qualifies for our Rapid House Purchase Program, please call or complete our Confidential Online Seller Questionnaire below as accurately and thoroughly as possible. It’s completely confidential, costs nothing and you’re under no obligation. If your house qualifies and you’re flexible on price or terms, we’ll schedule a time to come out and make you an offer to buy your house in one hour or less, Guaranteed!